Everything seems expensive nowadays, especially for freshly graduated millennials burdened with student loan debt. Luckily, a new report was published that illustrates which cities likely offer prosperous careers. 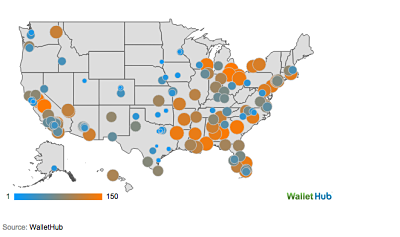 The "2015's Best & Worst Cities to Start a Career" report, which was recently published by Wallet Hub, could help young people understand where job markets are the friendliest. The report utilized 19 key metrics and borrowed data from the U.S. Census Bureau, the U.S. Bureau of Labor Statistics, Indeed.com, the Kauffman Foundation and other institutions to determine the strength of the job market in the nation's 150 largest cities. Texas leads the way, hosting more than half of Top 10 cities that offer young people employment stability. Among them: Irving (1), Grand Prairie (2), Austin (3), Houston (5), Corpus Christi (6) and Fort Worth (8). Other cities in the Top 10 are Denver, Colorado (2), Fremont, California (7), Sioux Falls, South Dakota (9) and Tulsa, Oklahoma (10). Ironically, most of the Top 10 cities cited for their career prospects have a sizable Latino population. For instance, Irving (41.1 percent), Corpus Christi (59.7 percent), Fort Worth (34.1 percent) and Denver (52.2 percent) boast a substantial Latino population, according to the most recent Census data. Within those cities, employers are likely to hire recent college graduates, according to the National Association of Colleges and Employers. Geography plays an important part in finding employment opportunities. Looking to cities like Yonkers, New York; Jersey City, New Jersey; Newark, New Jersey; Glendale, California; and Grand Prarie, Texas is wise because thoses cities have the most entry-level jobs. 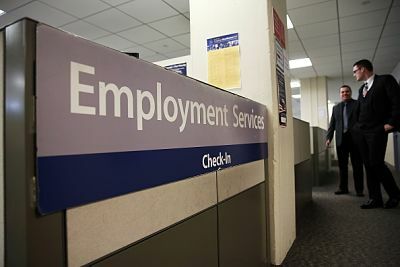 However, Montgomery, Alabama; Fresno, California: Columbus, Georgia; El Paso, Texas; and Laredo, Texas have the least number of entry-level jobs. With that said, employment opportunities are only a part of post-college success. In fact job growth, starting salary and housing affordability are also key. Housing affordability is an important factor, and it's most affordable in Plano, Texas; Corpus Christi, Texas; Gilbert, Arizona; Fort Wayne, Indiana; and Peoria, Arizona. But, housing affordability is weakest in New York City; Glendale, California; Los Angeles, California; Newark, New Jersey; Oakland, California; and Honolulu, Hawaii. Starting salaries are highest in Houston, Texas; Arlington, Texas; San Jose, California; Garland, Texas and Grand Prairie, Texas. Meanwhile, salaries are the lowest in New York City; Fresno, California; Santa Rose, California; Rancho Cucamonga, California; and Honolulu, Hawaii. The cities with the highest job growth include Tallahassee, Florida; Jackson, Mississippi; Oakland, California; Knoxville, Tennessee; and Miami, Florida. Compare that to the cities with the lowest job growth, which are Wichita, Kansas; Oceanside, California; Spokane, Washington; Ontario, California; and Laredo, Texas. The cities that found themselves at the bottom of the overall ranking include Milwaukee, WI (141), Mobile, AL (142), Modesto, CA (143), Augusta, GA (144), Cleveland, OH (145), Stockton, CA (146), Columbus, GA (147), Toledo, OH (148), Fresno, CA (149) and, lastly, Detroit, MI (150). The Hispanic population size for these cities vary greatly, evident by Milwaukee (17.3 percent), Mobile (2.4 percent) and Stockton (40.3 percent). Entrepreneurial activity, workforce diversity, economic mobility, unemployment rate, annual job growth, median starting salary, recreational establishments, populations with Bachelor's degrees or higher, and annual income were considered when compiling the list of cities that appear to best locales for young people looking to launch their careers.